The Battle of Waterloo is one of the most famous battles in history. The battle was between, France on side and Great Britain, Prussia and their allies on the other. The battle was a great victory for the British and the Prussians and it is widely seen as the end of the series of wars that had ravaged Europe since the French Revolution (1789). The Battle of Waterloo was the last attempt by Napoleon to establish himself in France and Europe, after his defeat in 1814. Why was Napoleon defeated at Waterloo? It was a mixture of the stubborn British resistance, their superior cavalry, Wellington’s leadership and, most importantly, the timely arrival of the Prussian army on the battlefield. Napoleon has become the master of most of Europe by 1805 after his victory over the Austrians and the Russians at the Battle of Austerlitz. For several years Napoleon and France dominated Europe and only the British continued to oppose Bonaparte’s ambitions. Napoleon decided to invade the Russian Empire, to force the Tsar to join a trade embargo on Britain. The French army marched into Russian and captured Moscow, but it disintegrated in the terrible Russian winter. Napoleon retreated into Europe and in the process lost the majority of his army. The French Empire was severely weakened after the Russian Invasion, and eventually, the allies, (Britain, Russian, Austria, and Prussia) marched into France and deposed Napoleon and restored the Bourbon Monarchy. Napoleon was exiled on the island of Elba in 1814. However, Napoleon escaped from Elba in 1815 and returned to France. His return prompted many in France to declare their loyalty to their old Emperor. The recently installed new French King fled and once more Napoleon was master of France. The allies were stunned and began to mobilize their armies to crush the French once and for all. From the east the Russian army advanced and the Austrians began to gather their forces in Italy. The British assembled a large force in the Low Countries and the Prussians army advanced through Germany and planned to link up with their British allies. Napoleon was effectively surrounded but he soon had taken control of his old army, that was still a formidable force. Napoleon was declared an outlaw by the allies and they decided not to negotiate with him. They were focused on defeating him so that he could never threaten the peace of Europe. Napoleon decided to target the British in the Low Countries. He wanted to secure a quick and rapid victory. The French army’s aim was to destroy the British before they were joined by the Prussian army, which was rapidly making its way to Belgium. Had Napoleon succeeded in destroying the army of General Wellington, located south of Brussels before it was reinforced, he might have been able to drive the British back to the sea. This would allow Napoleon to turn his focus on the Prussians and knock them out of the war and enable the French to concentrate all their armies on the Austrians and Russians. Napoleon also knew that many in the French-speaking community in Belgium were sympathetic to him and a French victory could trigger a revolution in that country. French Intelligence was very well-informed of the strengths and weaknesses of the British troops in Belgium. Napoleon knew that the army under General Wellington was mostly second-line troops as most of the veterans had been dispatched to fight in North America. Napoleon gathered his forces together in a rapid period. Many of his old soldiers and generals rallied to his cause, and soon they were on the march. 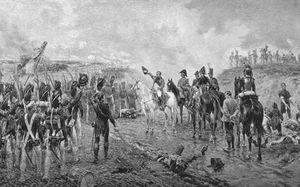 The speed of the French advance stunned the British and Wellington was forced to adopt a defensive posture south of Brussels, at Waterloo. By this time the advance Prussians units had arrived in Belgium, but the French surprised and defeated them at the Battle of Ligny. Wellington decided to retreat towards Waterloo and wait for the main Prussian army under General Blucher to reinforce him. Once again Napoleon’s speed caught everyone by surprise, and before the Prussians could meet up with Wellington, he had arrived at Waterloo and was determined to force the British into a decisive battle. The French and the British armies were roughly evenly matched in numbers. The French had slightly more cavalry and artillery. Wellington was very concerned about the quality of his multinational army. Many of who were Dutch and Belgian soldiers who were not battle hardened and in the British ranks there were also many inexperienced soldiers. There was also a large German contingent who though experienced had at one time served in the French army. The French army was composed of veterans, including elite units such as the ‘Old Guard.’ Wellington was a highly experienced soldier, and he established a strong defensive position on a ridge and had fortified some farmhouses in the area, to protect his flanks. Napoleon as ever was in a hurry and decided to attack the British and their allies before the Prussians arrived. He chose to attack the British the day after arriving at Waterloo. He scheduled the attack to begin in the early morning of the 18th of June, but he delayed it because of the saturated ground. The wet conditions meant that the cavalry could not conduct any charges. At 11 in the morning, Napoleon ordered his forces to attack the village of Mont-Saint-Jean as he believed that here was the main concentration of Wellington’s army. The British were stationed below the village on some high ground. When the French saw the position of the British, they commenced bombarding their lines. After an hour the French began their assault, and their goal was to seize the Hougoumont farmhouse. There was fierce fighting at this farmhouse all day, but the British managed to hold out. Wellington was obliged to divert some of his reserves into this battle. This weakened his center and Napoleon decided to launch a massive attack on the British lines. The French after another bombardment charged up the slopes to the British lines and after an hour of fierce fighting, they had forced Wellington’s lines back. It seemed that the British were on the verge of defeat. Then the British commander ordered his Heavy Cavalry Brigade to stage a counterattack. This managed to push back the French advance, although at a hefty cost. Napoleon ordered his cavalry to attack the British line and then ordered repeated infantry charges. This resulted in very high French casualties. The British under the leadership of Wellington held firm. Suddenly, the Prussians appeared on Napoleon’s right flank and they had arrived sooner than anyone had anticipated. Napoleon knew that his situation was precarious and he ordered his best troops, the Imperial Guard forward, to rout the British. However, once again despite the heroism of the Imperial Guard, the allied forces under Wellington held firm. 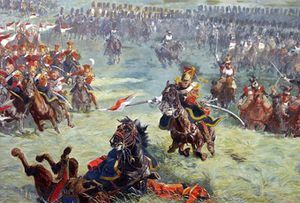 The Prussians under Blucher began to arrive in ever higher numbers and as they did the French army began to disintegrate. The Old Guard, composed of veterans of many battles, fought to the last man and this allowed the remaining French forces to flee the fighting. That night Blucher and Wellington met, and that is considered the end of the Battle. Waterloo was a victory for the allies, but as Wellington himself asserted afterward it was a narrow victory. 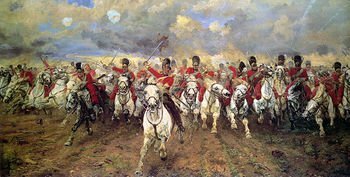 Waterloo cost the British army around 14,500 dead or wounded, and the Prussians under Blücher suffered some 7,200 casualties. The French army had some 25,000 to 26,000 killed or wounded. Some 6000 to 7000 French soldiers were taken the prisoner and another 15,000 men deserted. Waterloo was a decisive victory for the allies. Napoleon’s army was no longer an organized fighting force, and the British and Prussians were about to invade France, which was practically defenseless. It was evident that the situation was hopeless and after a failed suicide bid Napoleon was sent to the island of St Helena where he would die. If Bonaparte had won it seems likely that Europe would have once again experienced a series of wars. Waterloo ended the career of Napoleon - one of the greatest generals in history. It also ended the last serious attempt by France to dominate Europe. The battle was to bring four decades of international peace to Europe. In the aftermath of the defeat of Napoleon, the great powers organized an international system that provided Europe with much-needed stability. At the Congress of Vienna, the great powers except for Britain established principles that provided some stability for Europe until the Crimean War, in a period of significant change. The are several reasons Napoleon failed at Waterloo. A significant factor in Napoleon's defeat was the timely arrival of Blucher, which was not anticipated by the French. Napoleon had not prepared for the arrival of the Prussian army. Wellington in his despatches to London made it clear how import Blucher's arrival was to the outcome of the battle. Another key reason was the unexpected bravery of the British and the other allied soldiers. Though inexperienced, they bravely resisted the onslaught of the French. They withstood several French attacks, including an assault from the Imperial Guard, the finest soldiers in Europe. Wellington and his officers had been able to provide the men with resolute leadership which meant that their soldiers did not buckle under the repeated French charges. Another factor was the terrible weather, heavy rain had turned much of the battlefield into a mud bath, and this had greatly slowed the French during their attacks. This was particularly the case given that the forces of Napoleon were attacking uphill. The weather had also delayed the French attack by several hours and this was to prove crucial. Waterloo was the end of an era, and the defeat of Napoleon ushered in a period of peace in Europe. Napoleon had come close to victory, but Wellington and Blucher had been able to turn the tide of battle and inflict a decisive defeat on the French army. The British army proved to be more capable than expected. The weather was also not in favor of the French, and the British had superior cavalry. Napoleon’s strategy was once again of the highest quality, but the timely arrival of the Prussians changed the course of the battle. It seems likely that Wellington would have been forced to retreat if the Prussians had not arrived, their arrival led to the destruction of the French army and the end of the Napoleonic Wars in Europe. 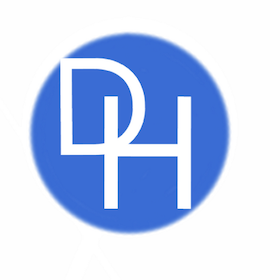 This page was last edited on 22 January 2019, at 14:23.